The second round of qualifying matches at an ATP World Tour 250 event can be some of the most intriguing matches of the week. You get survivors from day one, but also the seeded players are usually all in action looking to move one-step closer to the main draw. 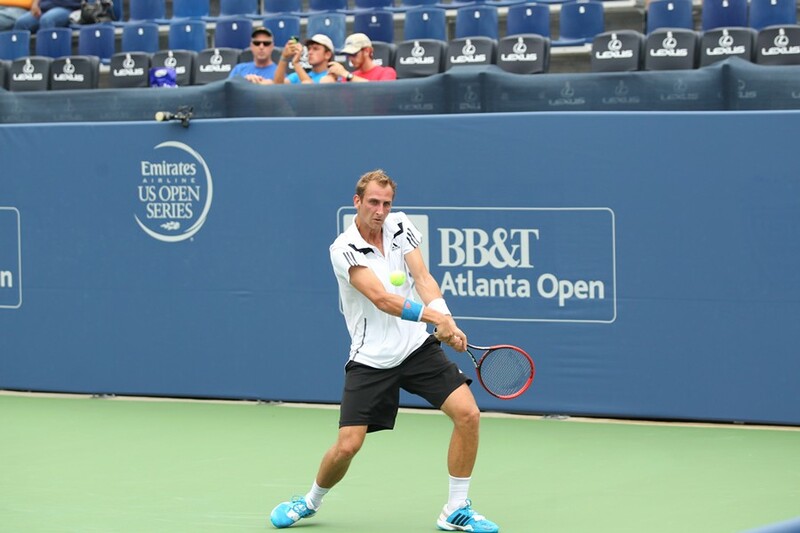 Such was the case on Sunday at the BB&T Atlanta Open. Dodging some rain drops, the qualifying draw top seed, Thiemo de Bakker of The Netherlands fought off a challenge from a Argentine Futures player, Facundo Mena, 6-2, 4-6, 6-4. De Bakker is a former world top-40 and is working his way back up the rankings after injuries and some heartbreaking losses in 2013. He has reached the third rounds at the French Open, Wimbledon and U.S. Opens, but right now he's focused on making the BB&T Atlanta Open main draw. American Alex Kuznetsov showed good form with a strong baseline game and added 12 aces as he proved to be too much for former University of Virginia player, Michael Shabaz. Kuznetsov currently holds a world ranking of No. 155 and his career high is No. 120. In other action, Canadian player, Steven Diez took down American college player, Ryan Shane. Both de bakker, Kuznetsov and Diez advance to the final round of qualifying to be played on Monday. Qualifying play continues all Sunday afternoon and monday at Atlantic Station. More information and real time scoring at www.bbtatlantaopen.com.